The rate of loss of Africa's forest cover is alarming, a Ghanaian minister has observed, and called for urgent efforts to restore lost forests. Nii Osah Mills, Ghana’s Minister for Lands and Natural Resources, made this call during the International Working Conference on Landscape Restoration that opened on Thursday. 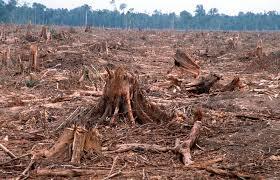 According to the United Nations’ Food and Agriculture Organization (FAO), an estimated 13 million hectares of forests are lost every year globally, with Africa being one of the continents with the highest losses, losing an estimated 3.4 million hectares yearly. “This alarming rate of deforestation calls for an urgent step to address the drivers of deforestation and to restore degraded forest landscapes through the creation of new forests,” the minister urged. Ghana, the minister said, would also issue its first Forest Law Enforcement, Governance and Trade (FLEGT) license by the end of this year. “Restoration is a strategy that yields multiple benefits in water, energy, forest, food, and finance, economy, and Climate Change Resilience,” said Sean DeWitt of the World Resource Institute.